I’ve been away for the past few weeks testing all the 1000cc superbikes in Almeria and the fabulous new GSX-R750 in Monte Blanco, near Seville. It’s times like these I still have to pinch myself – I’ve definitely got the best job in the world! Now I’m back in Blighty, I’m looking forward to riding my race bike for the first time this year, at a Focused Events trackday at Brands Hatch on Friday (February 11). 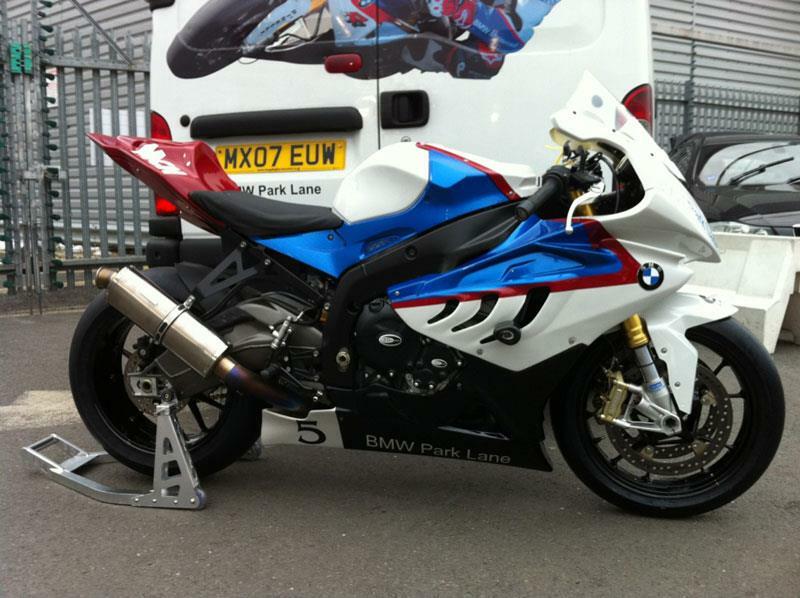 ‘My’ BMW S1000RR is the same bike I rode for the BMW Park Lane team last year in the MRO Stocksport 1000 championship, but this year we’re switching to MRO Powerbikes. 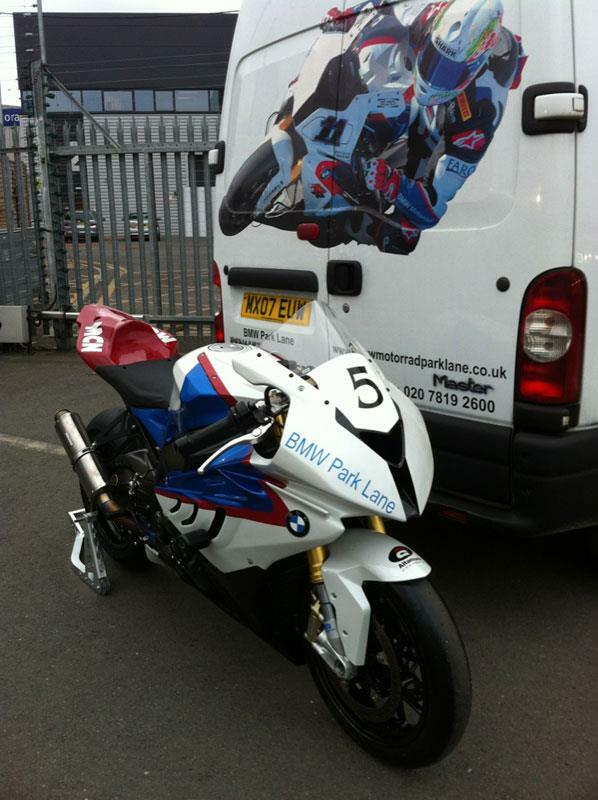 BMW Park Lane has been busy getting the bike ready and they’ve just sent me these pictures. The bike has had its bodywork resprayed by paint specialists Altamura, in a slightly different colour scheme to before and the wheels are now gloss black, which give it a bit of a sinister look…well, I think it does! Friday will be the first time I get to ride the Beemer on Dunlop’s Ntech slicks. The last time I used them was in 2009 on my R1 race bike and they are just brilliant. Their wets are epic too and combined with the electronic rider aids the S1000RR has, I’m looking forward to splashing around, even if the weather is bad on Friday. Another first for me is the new shock and fork internals, recently fitted by Kais Suspension. With its TTX rear shock, 30mm fork kit and slicks, the BMW is going to feel a lot different to last year, so I can’t wait to get stuck in. I’ve been training hard and thinking a lot about the season ahead, so I can’t wait to get out there, even though my new ACU licence says I’m 41…surely some mistake?! The team will be coming along to help me on Friday and mechanic Paul Cooper is showing me around the bike, as I will be running it on my own this year, while the rest of the team is graduating up to BSB Superbike Evo with Stefan Cappella. I’m back at Brands Hatch again on Sunday to instruct four new racers at the annual Bemsee Rookie day. It’s a chance for all the new racers to get the feel for how a race meeting works and for them to get out on track in a racing environment, but without the pressure of actual competition. There’s even a dummy race start, so the riders can go through the terror of lining up on the grid for the first time. If you’re down at Brands this weekend, come up and say ‘hi’.